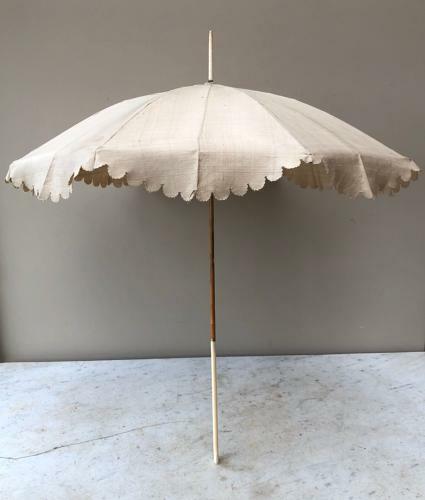 Superb Quality and Condition Late Victorian Silk Parasol with Ivory Handle and Tip. Scalloped shape edge to the silk. All working. Decorative item to hang on the back of a door or in a bedroom etc..
Post is Parcel Force 48 for £12.98 because of the length.